MommyCraftsAlot: *Giveaway* Win a beautiful handpainted bag from Fairytails by Violet Sky! *Giveaway* Win a beautiful handpainted bag from Fairytails by Violet Sky! One of our featured shoppes for the month of January is offering up a great giveaway! Fairytails by Violet Sky is having an amazing giveaway! 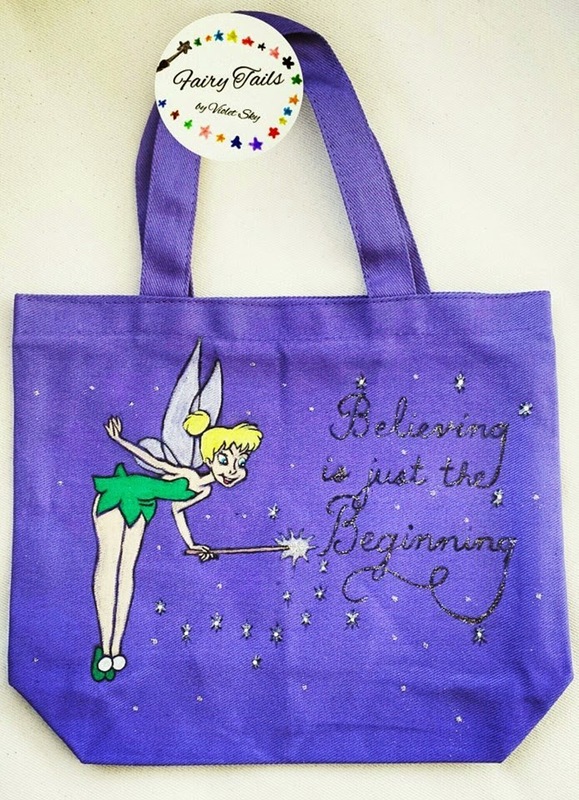 Enter to win the "Believing is just the beginning" hand painted one of a kind canvas bag pictured here!!! (2) Comment with your favorite Disney movie. YOU MUST LEAVE YOUR FAVORITE MOVIE AS A COMMENT ON THE FAIRYTAILS BY VIOLETSKY FACEBOOK PAGE!